By not putting out the right content and story frequently you are hindering the growth of your business and yourself. And that's selfish. The bigger you grow the more people you and your business can serve. The better you can take care of the people around you. The more you can do for your colleagues and employees. The more you can do for your family and friends. Content IS the way you expand and grow. I am personal proof. 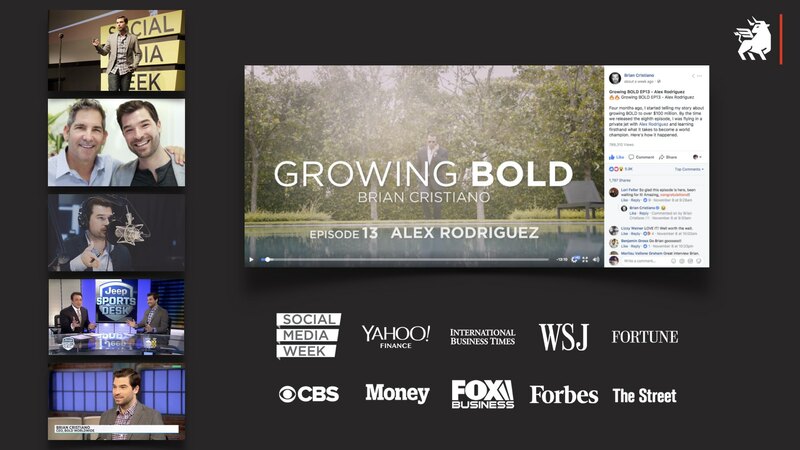 When we began taking our own medicine and creating consistent content and our docu-series, Growing BOLD, our own business expanded dramatically. Aside from growth there was a major unintended consequence. I get messages every day from executives and entrepreneurs saying that our story and message has inspires them, helped them and changed their lives. THAT is impact. It would have been selfish for me not to share my story. And if you're still trying to wrap your head around all of this and aren't sure where to start join our Accelerator program. Enrollment is still open but filling up fast. This is where we can teach you and your team the strategy we've used to scale our business and our clients'. As well as develop your own weekly content series. This is your opportunity to get yourself and your business to the next level.